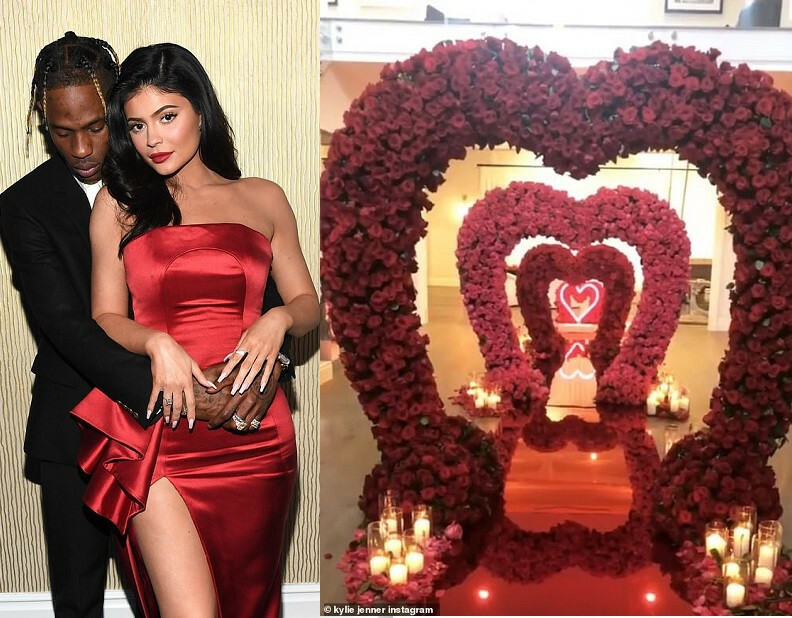 Rapper, Travis Scott and his partner Kylie Jenner have gotten into Valentine’s mood. 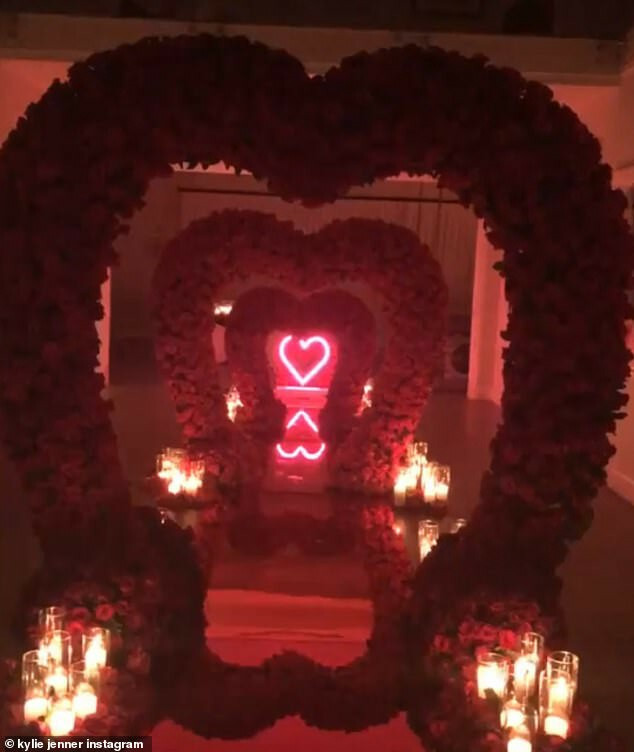 Taking to her Instagram Stories, the 21-year-old mother of one showed the rapper’s Valentine’s Day tunnel of love he put together for her. The walkway tunnel was filled with both pink and red roses styled in the shape of hearts with a variety of burning candles along the way. ‘Hell of a way to end the night,’ she captioned the sweet clip.